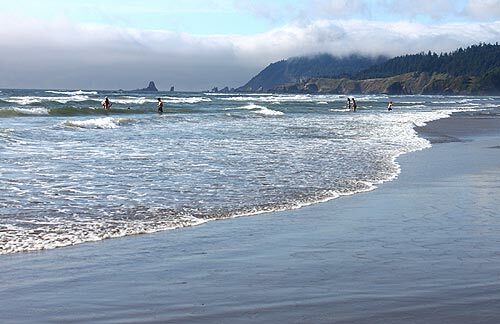 (Oregon Coast) – While harvesting of mussels on the Oregon coast was fully restored last month, the news remains bad for razor clams. 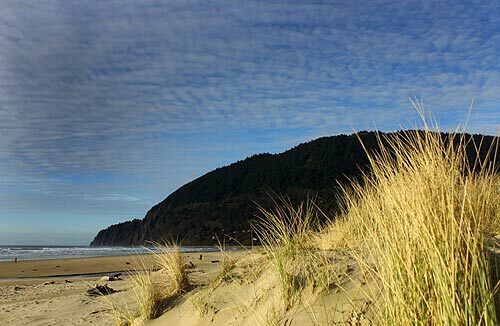 ODFW said the razor clamming will remain closed indefinitely on Clatsop beaches, after being shut down statewide this spring. (Photo courtesy Tiffany Boothe, Seaside Aquarium). 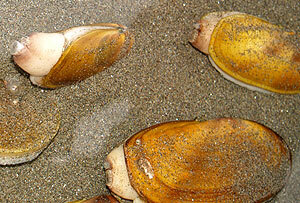 Normally, razor clamming reopens on October 1 in Clatsop County beaches. 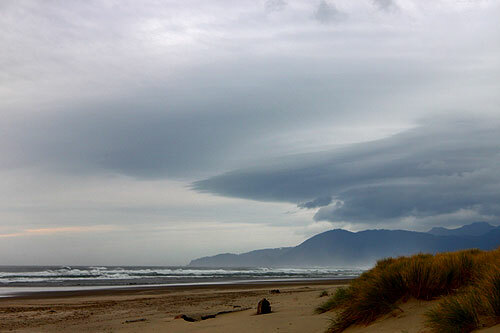 From Seaside northward is where the heaviest populations of the edible critter live, making this another huge attraction for towns like Seaside, Warrenton and Gearhart. 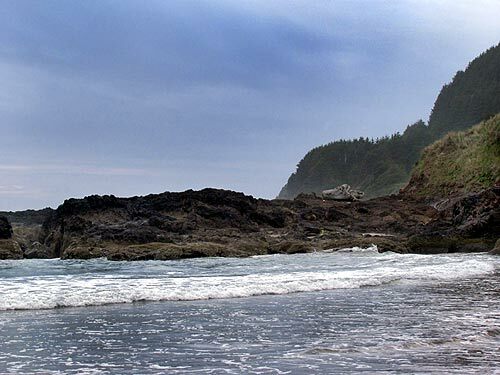 Razor clamming along the entire Oregon coast has been closed since May 14 due to elevated levels of domoic acid in the clams. 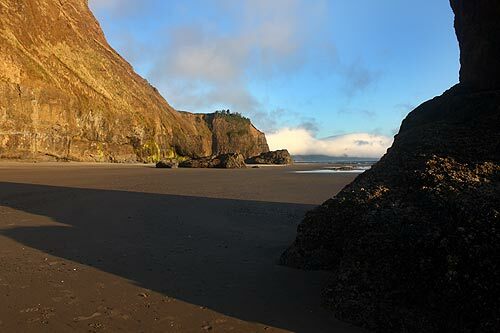 The most recent test results released Friday, show levels too high for the season to open next Thursday, said Matt Hunter, ODFW shellfish biologist. 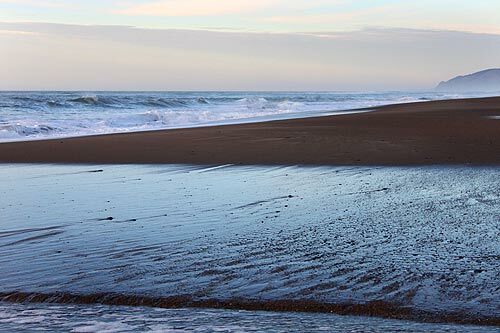 Hunter said Oregon beaches will re-open to razor clamming only after two consecutive samples show domoic acid is below the alert level. Exactly when that might happen is impossible to predict because the clams are very slow to eliminate the toxin. 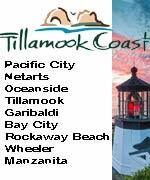 Jon Rahl, spokesman for the City of Seaside, this hasn't dampened tourism for the north coast town for the spring and summer. Lodging taxes remained up compared to previous years. “It seems to be more of disappointment rather than something that has prevented folks from coming to visit,” Rahl said. Meanwhile, harvesting of bay clams and mussels is open everywhere. Dungeness crab is also open and quite popular right now. 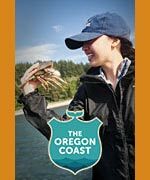 ODFW said ocean crabbing is very good to excellent along the coast. The shells of most crabs have hardened up, but crabbers are advised to continue checking for soft shells: these animals have recently molted, and their meat will be watery and disappointing.